Home Designs Cute Planner Stickers for FREE! Look no more! With this cute planner sticker you can create a wonderful planner cover, greeting card design, perfect for scrapbook and your next POD or DIY projects. 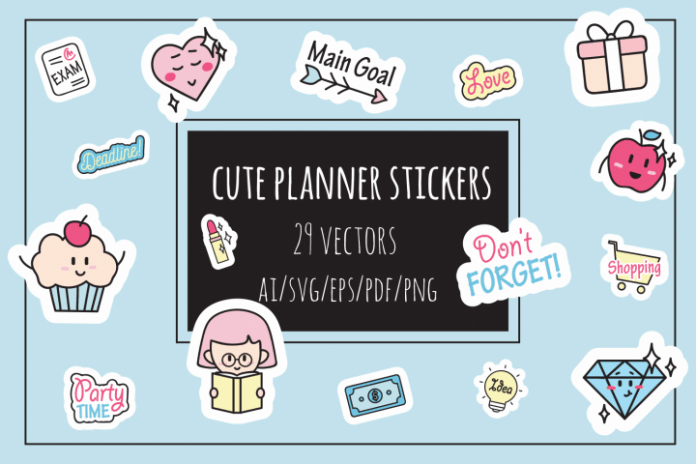 This Cute Planner stickers includes 29 individual vector stickers ready for print. Hurry and download this for FREE. Get these Planner Stickers for free at designbundles.net.